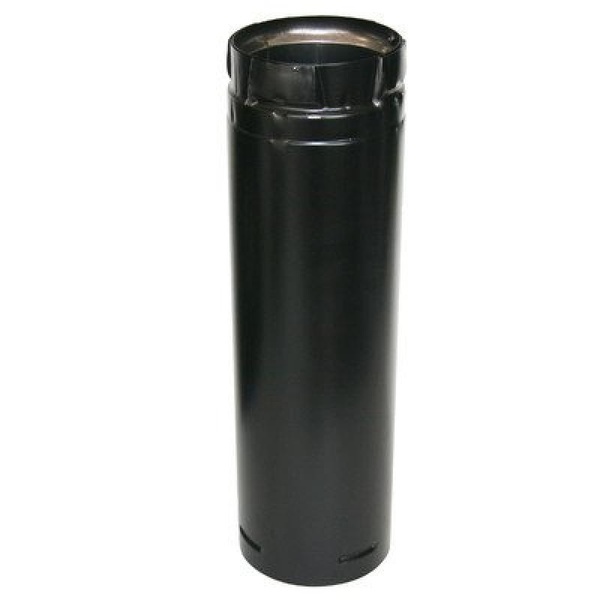 Descriptions: The Pellet Vent Double-Wall Chimney Pipe adds 12 in. to the length of a 4 in. diameter system. It features a stainless-steel inner wall that resists corrosion. Duravent is a venting system designed for stoves and inserts that use wood pellets and oil fuel. It is also built to vent biofuel products such as corn, switch grass, cherry pits, soybeans, coffee husks, to name a few. Rated for continuous feed use flue temperatures up to 570 degrees Fahrenheit. All Duravent components that come into contact with flue gases are built with an inner wall or corrosion resistant super-ferritic metal. Duravent is engineered with features for a durable, safe and aesthetical pleasing venting system. Duravent is a paten-pending system for stoves and inserts that use wood pellets, corn and other biofuels, or oil as fuel. This perfect fit and finish is made possible with a laser-welded inner and outer wall.